Make Sense Tap Adapters by Eliot Inc.
Get tapping jobs done faster! 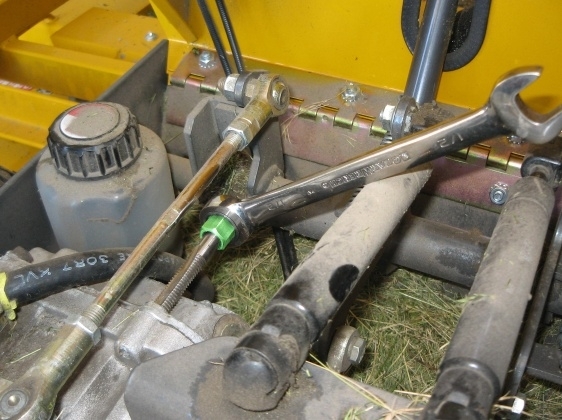 Eliminate the need to remove obstructing parts or use clumsy T-handle wrenches. 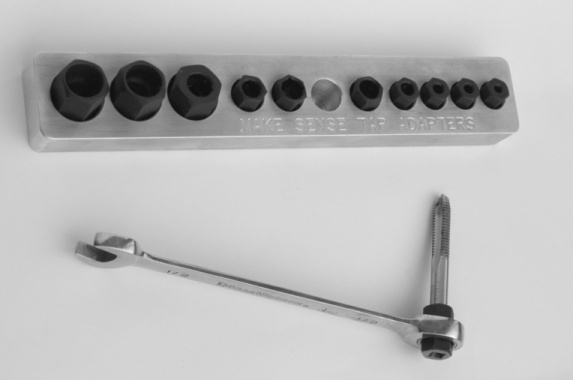 Standard wrenches do not fit taps. 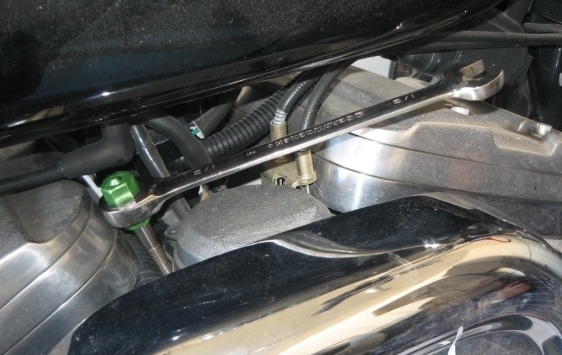 With Tap Adapters, standard wrenches fit perfectly. Any place you need to use a tap! 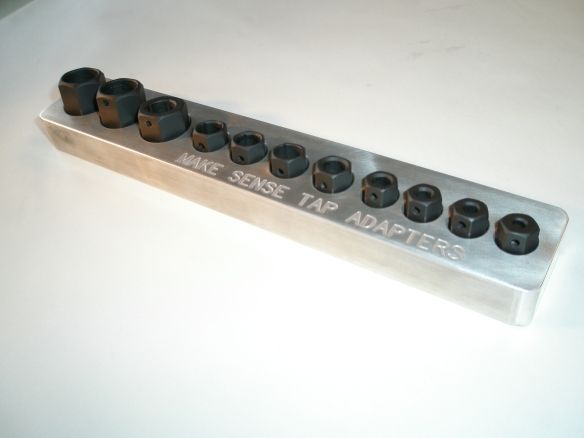 Tap Adapters are available to fit all common fractional taps up to ¾" and 22 mm metric taps. 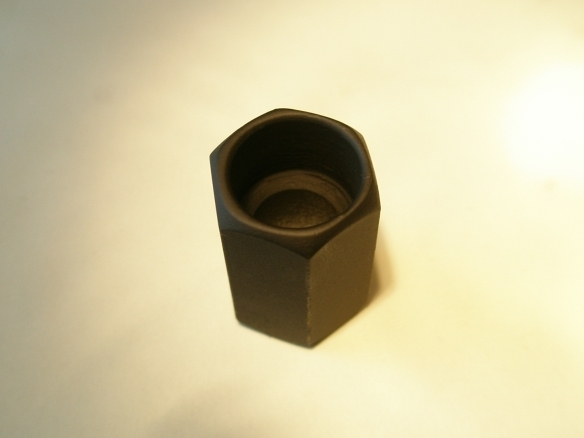 The set of 11 adapters includes a handy stand, set screws, and an Allen wrench. 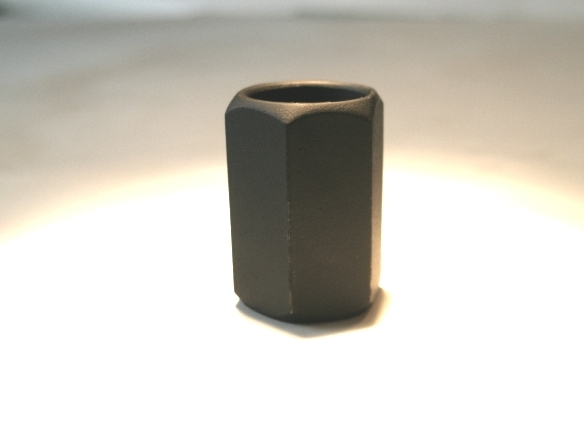 The adapters are fully CNC-machined from 4140 heat treated steel and come with a lifetime warranty. In some of the photos below, the adapter is color-coded green for clarity. 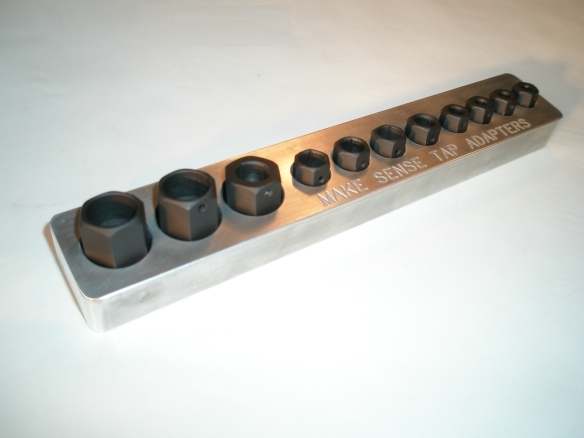 Eliot Inc is a metal fabrication and factory automation company located in Joice, IA. 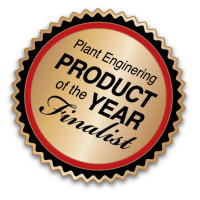 We have 30+ years of experience with manufacturing companies across the United States.